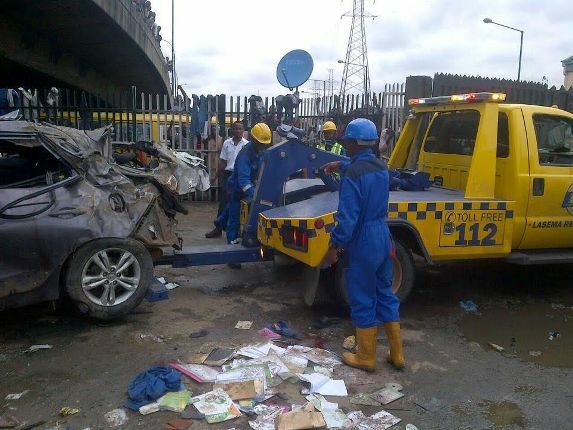 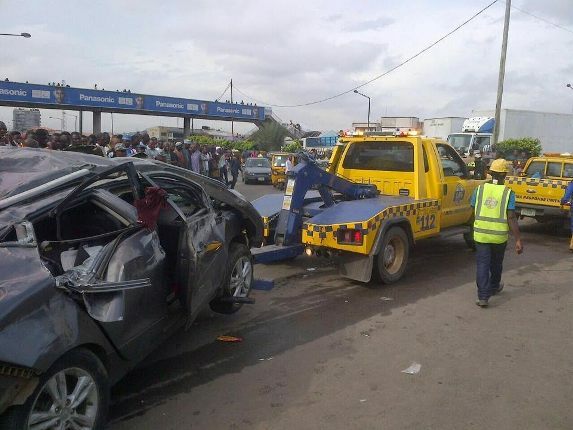 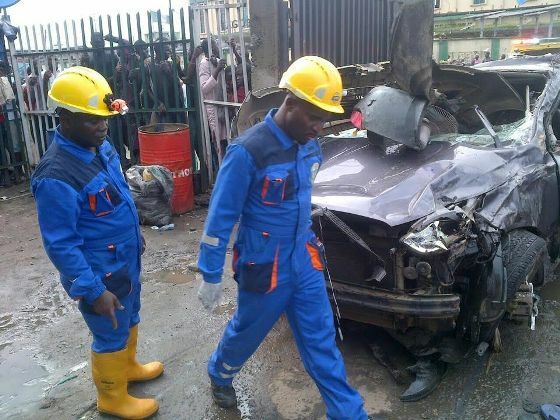 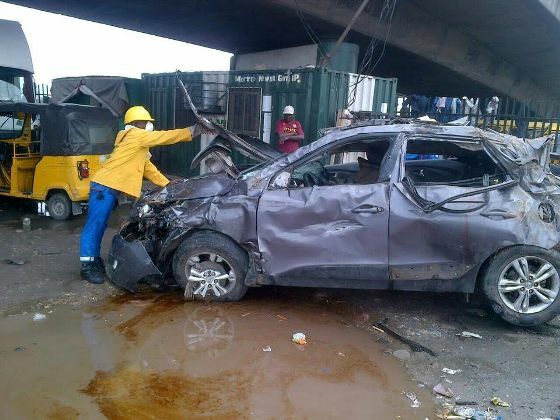 Three armed robbers and a mechanic simply identified as Nwamba, lost their lives after a grey colored Hyundai ix 35 with registration number SMK 485 CM which they had earlier stolen, skidded off Eko bridge by Iddo terminus in Lagos and landed on a mechanic who died instantly yesterday October 9th. died immediately; one escaped with injury while the fifth person was taken to the Hospital for treatment by LASAMBUS. The dead bodies ( three suspected armed robbers and one other person identified as a mechanic named Nwamba) were handed over to SEHMU and were subsequently taken to the Mortuary, while vehicle was towed to Denton Police State Ebutte Metta. Items found on them include : One locally made double barrel pistol with five live cartridges; one laptop;GSM phone and a dollar note The General Manager LASEMA, Mr. Adesina Tiamiyu advised Lagosian to always be security conscious all the time and further said that proper investigation would be carried out by the Nigerian Police Force on the incident.